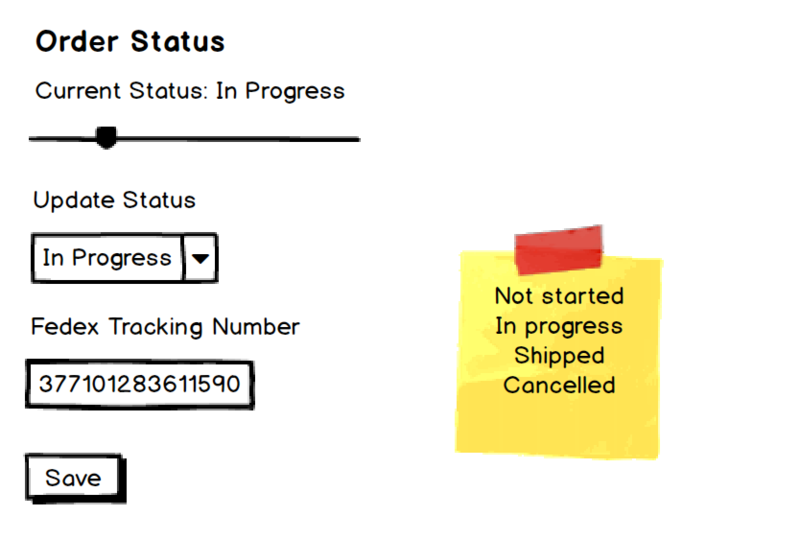 Two ways I can think of in regards to supply chain is a drop down showing order status such as not started, processed shipped. 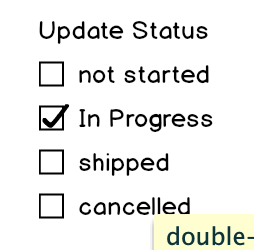 Or a slider like mechanism showing progress towards the end similar to how shipping sites do it. Are there any other ways to do this and any best practices to consider? States would be not started, in the process, shipped, arrived, canceled. The drop-down you wouldn't be able to see all of them at the same time so I think that is less desirable, however, if you need to manually change the state that may be preferred. The current design is below. I Think it is redundant to have both but If the user can change the status I am not sure I like the slider with notches over the drop down. Below are two other designs i came up with. I think i will do the later as it takes up less space but still shows all options and kind of related to the order they would progress in. Not the answer you're looking for? Browse other questions tagged dropdown sliders application-state shipping or ask your own question. How do you show a locked slider? How to make the options change for a recurrent button (such as add and locate)? How to show both input and output on a slider? How to show sleeping on a slider? How is the UX principle called that the user should know in what state the system is?